While looking for inspiration and doing some research for a new set of paintings I’ll be doing I came across this concept of acrylic gel mediums. I kept looking at the pictures, the result, and was mesmerized to see how much it reminded me of impasto in oil paining. I ran to our bookshelf and grabbed a book I’ve forgotten all about, David L Millard’s Impasto. I remember devouring every word of it, looking at all the images up close and thinking this is something I would love to try but will never do. I thought the end result looked gorgeous, but I kept thinking of the exorbitant amount of paint required (wasted, I thought) for it and decided to give it a pass. Well, this medium appeared to give just the same result, but in a different way, without wasting the paint. It intrigued me so much so that I wanted to try it. But there was a tiny bit of a problem, and that’s one of the reasons I never heard of it until now: it is not sold in Hungary. So I thought about it, chewed the idea through a bit and ended up placing an order with Amazon. So what is my experience using it? First of all, there are quite a few types. And choosing the right one for myself is no easy feat. I mean there is flexible, hard, extra hard. Matte, ultra matte, glossy. After reading the website of the manufacturer from A to Z I decided (well, sort of blindly stuck my finger at one of the choices) to go with this Light Modelling Paste. I figured (hoped) it would not change the weight and behavior of the canvas and I wanted to prevent any glare that a gloss would cause. Applying it is like icing a cake. 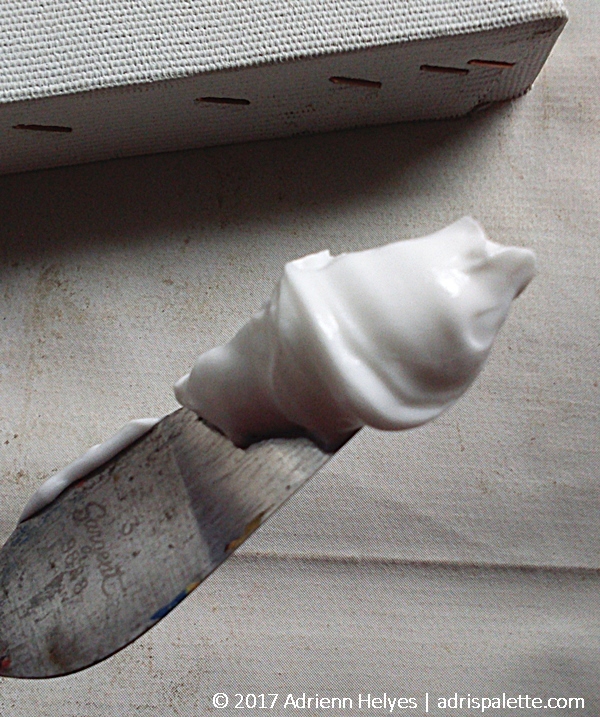 Even the texture and thickness of the gel reminds me of icing (without the greasiness and vanilla scent, of course). It is very easy to apply, and very easy to get carried away with it. So it is good to have an initial idea of what you want to achieve and stick to that concept. 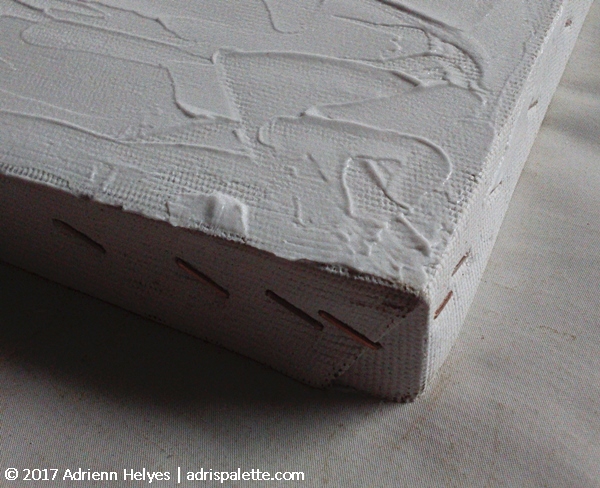 My raw canvas with a layer of gesso. The dried gel medium on the same canvas. I left the gel deliberately thin in some places so I could play with the different textures, the negative spaces in between ridges. The gel itself provides you with plenty of time for manipulation and correction. It does not dry on you in minutes. Rather, applied in a thin layer I ‘d say it was completely set in about 3 hours. Of course, I wanted to be on the safe side so waited a good 24 hours before drawing on it. By that time the little ridges I created were completely dry. However, and this is the best part, while the marks are hard and maintain their shape, the canvas remains flexible and bouncy. And this I really appreciate, because I like and look for that bounce during painting. Something else I really like about it is how you can choose how you use it. Apply it right out of the bottle and then paint over it. Or get a good amount on your palette, mix in the color and apply the colored get onto the canvas. Color ground applied to dried gel medium base. 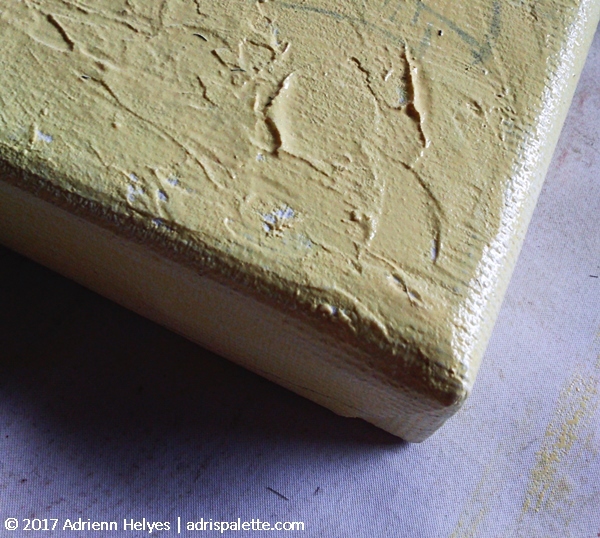 I love the play of the brush strokes with the surface: in some places the color is darker, richer, in others it is barely visible, almost transparent. 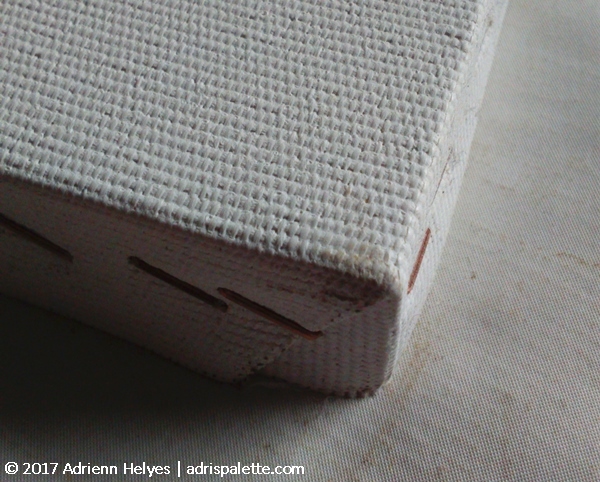 Colored gel applied to canvas. 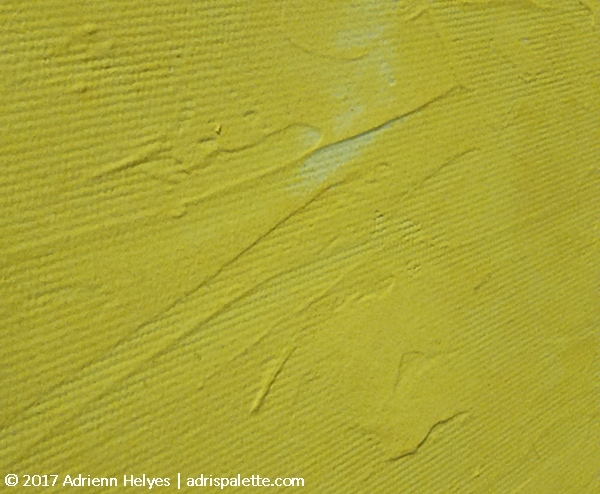 The uniformity of the color, its opaqueness gives it such a rich base! I haven’t played with the gel long enough to be able to judge all of its properties. I don’t yet know which of the base choices is going to be my technique of choice. I’ll just have to start my paintings and see how they behave during the painting process. Oh, I can hardly wait!